This is a document evaluation where a course-by-course evaluation is not needed. For Employment and many Visa (Immigration) requirements. For employment when a course by course evaluation is requested, for the I140 Visa, for college/university transfer credits or admission into graduate school. For employment when a course by course evaluation is requested, for the I140 Visa, for college/university transfer credits or admission into graduate school and licensing. All courses will have the US equivalency with US grades plus a GPA. Degree equivalency is included. For 2 degrees or 2 transcripts, plus $125 for each additional degree over two degrees/transcripts. Cost: $375. ($195 Internet special for 2 degrees, plus $50 for each additional degree). Includes evaluation and expert opinion letter by an international professor with authority to grant credit for work experience. The following evaluations are for the H-1B and TN visas and can be sometimes accepted for employment. However, these foreign credential evaluation reports are rarely accepted for admission into graduate school if the person doesn’t hold any undergraduate degree. We will review your documents before you order at no cost to you to insure that you will receive what you expect. The price range varies according to the type of evaluations. Contact us before you order for a no charge review of your credentials. This way you will know exactly what you will be receiving before you order. 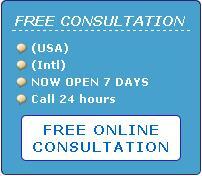 In many cases, we offer services like evaluation as a US equivalency in a different major or concentration. So you can contact with us to know what we can offer you. Signed Electronic Copy (PDF file). Save the cost of extra official copies.